In addition to the possibility of contacting us directly to resolve disputes, the European Commission Online Dispute Resolution website may be found here. 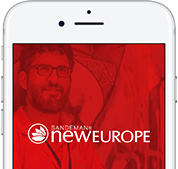 Business name: SANDEMANs NEW Europe s.r.o. We are neither prepared nor obliged to participate in actions at a consumer conflict resolution board.